Risengrød, or rice pudding, has been a beloved dish in Denmark for centuries, a dish enjoyed by rich and poor alike. But in the 1800’s, as was the case in most of Europe, there came a point when the upper-crusted bourgeoisie wanted to further distinguish themselves from the poorer, working classes and that distinction included food. But the bourgeoisie weren’t about to give up their beloved Risengrød. Yet to eat the common food of the poor farmers wouldn’t do either. A solution was found: They would add some luxurious items like whipped cream and almonds and then give it a new name, a French name, of course, riz à l’amande, to give it an air of elegance. To borrow an American phrase, now the bourgeoisie would have their cake and eat it too. Risalamande has remained one of the most popular of all Danish desserts ever since. 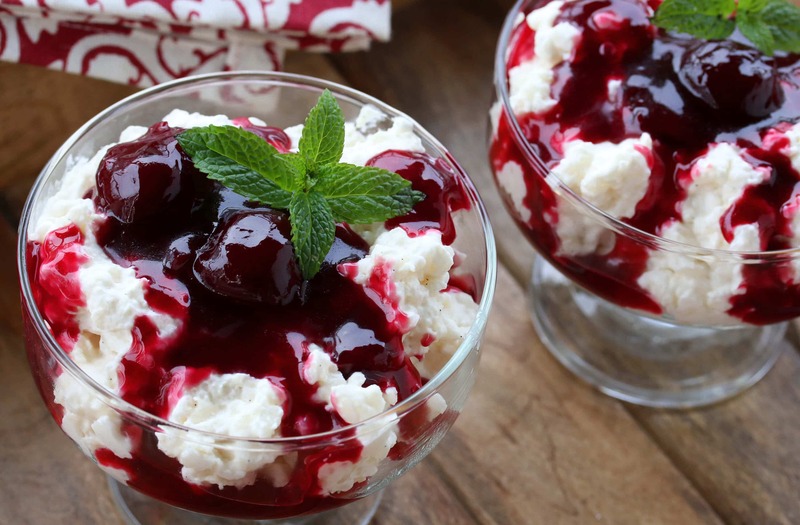 It is probably the most popular Christmas dessert, served every Christmas Eve following dinner. As already mentioned, the name comes from the French, riz à l’amande, which translates to “rice with almonds.” But the almonds are only one aspect of what sets this rice pudding apart from all others. 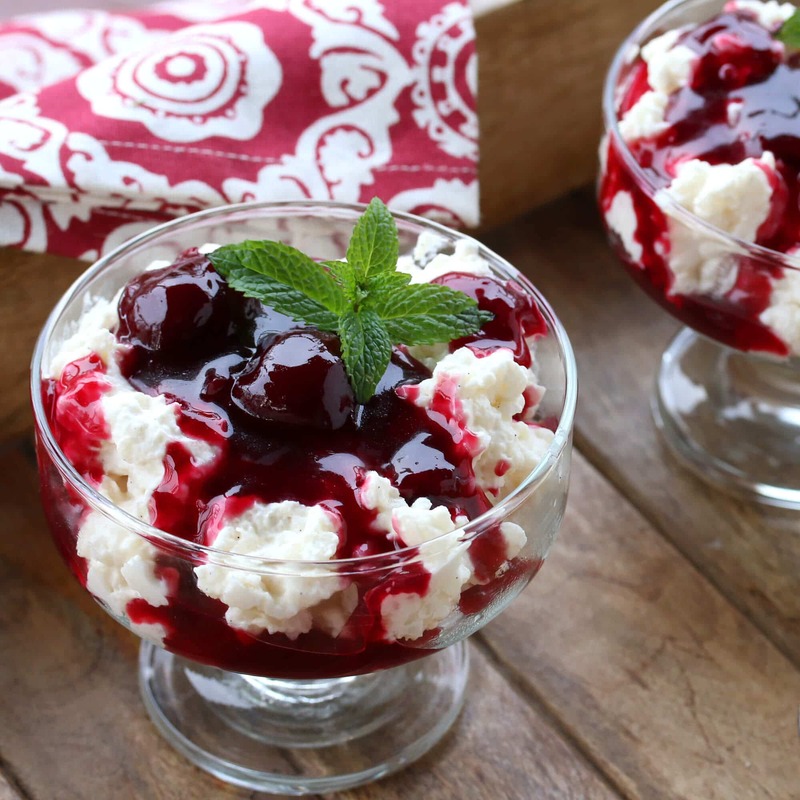 The base is a typical rice pudding like you would find anywhere (except that I add lemon zest which bumps it up a hundred notches), but what sets Risalamande apart is what you do with that base pudding: You add chopped almonds, fold in vanilla-infused whipped cream, and served it topped with a silky cherry sauce. It’s simple, elegant and thoroughly delicious! 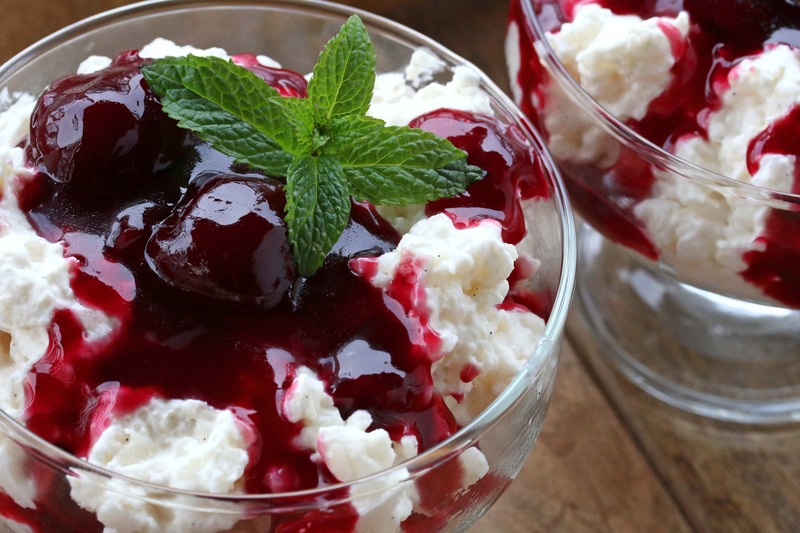 Like many western European desserts, it isn’t overly sweet, but between the bit of sugar and the sweet cherry sauce it’s just the right amount of sweetness. There’s a fun Christmas tradition that accompanies this dessert: The cook hides one whole almond in the rice pudding and whoever finds it in their serving wins a present. The catch: Everyone has to keep eating until the almond is found, no matter how full they are! My husband and I both have ancestry from Denmark. Both of us have great grandparents that immigrated to the U.S. from Denmark and we’ve had the privilege of visiting this beautiful country. My husband’s maternal side of the family is particular proud of their heritage. The architecture, especially in the first picture of the houses along the canal, is similar to that of the port towns of North Germany. The food is also similar – lots of fish, meat and potatoes. They also have a pastry in common: It’s what the Danish call Æbleskiver and the north Germans call Pförtchen. And although I’m from Germany, I’ll steer clear of the hot debate as to where the pastry actually originated! Back to our rice pudding….Though this dish is traditionally eaten on Christmas Eve in Denmark, don’t let that stop you from enjoying it any time of the year because it’s scrumptious! Bring the rice, salt, lemon zest, sugar and water to a boil in a medium-sized stock pot. Boil for 3 minutes, add the milk and return to a boil. Reduce the heat to low, cover and simmer for 30-35 minutes, stirring occasionally, increasing the frequency during the last 10 minutes to prevent scorching. Stir in the chopped blanched almonds. Let the rice cool and then chill for several hours or overnight. Beat the cream until it starts to thicken. Add the sugar, vanilla bean paste and almond extract and beat until stiff peaks form. Be careful not to over-beat. (Note: The rice will may be very stiff. Stir it to loosen it up and then stir it more after the cream has been added to break up any clumps.) Stir the cream mixture into the rice pudding. 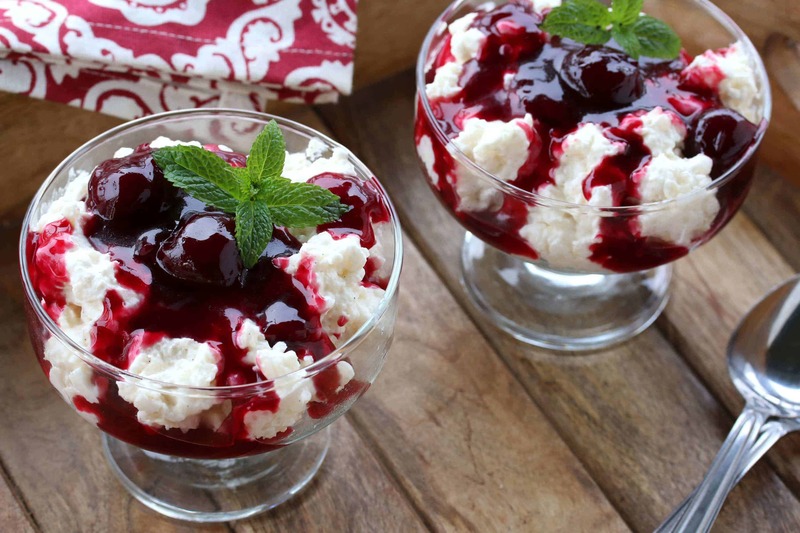 Serve the rice at room temperature with warm Cherry Sauce. For garnish you can include a small sprig of mint. Enjoy and Glædelig Jul og Godt Nytår! Wonderfully creamy and delightfully flavorful, this famous rice pudding is sure to win you over! 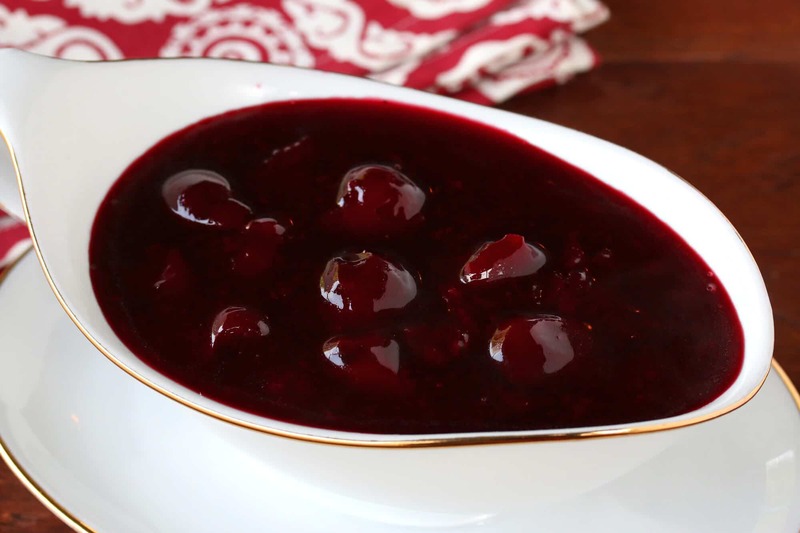 Serve the Risalamande at room temperature with the warm cherry sauce. 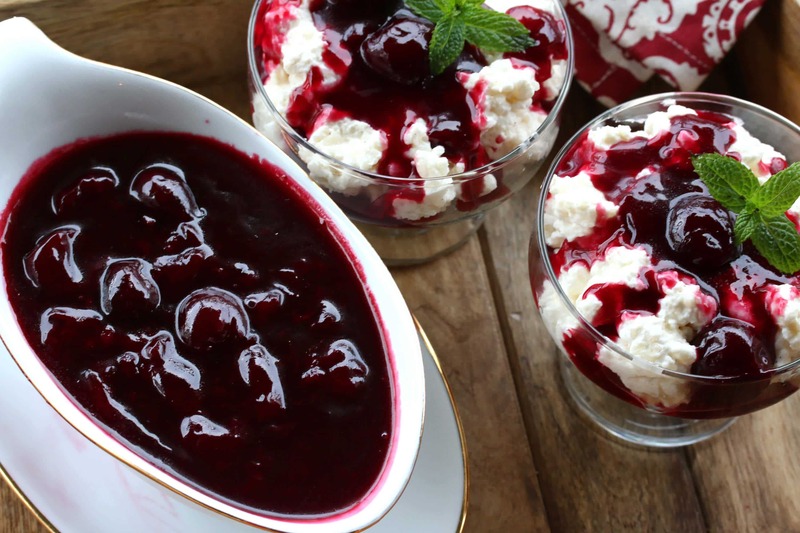 You can make the Risalamande a day ahead, then pull it out of the fridge to warm it up to room temperature and serve it with warm cherry sauce. We visit Denmark almost every year, one of my husband’s best friends lives there, so I have already have this dessert. It is delicious! I have never made it myself though, your pictures make me want to do that soon. :) Frohe Weihnachten! Great, great inviting photos ! Thank you and have a happy holidays ! This is such a wonderful post! I loved the historic and cultural background, which just makes the recipe so much more meaningful! And, well … I do truly love rice pudding, so you’d pretty much won me over right from the start! :) But all the delicious upgrades … the almonds, the vanilla bean paste, the cherry sauce … oh my goodness! I need this in my life! Pinning for sure! I love rice pudding! This looks amazing, and so festive for Christmas! This looks incredible and I love the story behind it. What a wonderful and delicious holiday tradition! This is just so fancy looking!! I love it! This is my first attempt at making Risalamande. My daughter (19) wants to embrace her Danish heritage (late fathers family), I’m making this to surprise her. Our heritage is mixed, Scots/English (mine) and Danish/Welsh (husband). Both families are 5th-6th generation Australian. That’s a wonderful idea, Annette. I’ve always felt that one of the best ways to embrace any heritage is through food. I have a very mixed heritage as well – all German on my mom’s side but very mixed on my dad’s. I love connecting with various nations of my ancestry through their traditional foods. I’m sure this will be a wonderful surprise for your daughter along with the accompanying tradition of hiding the almond. That looks delicious, great for the holidays! I love the hidden almond idea!! Who will find the treasure?! 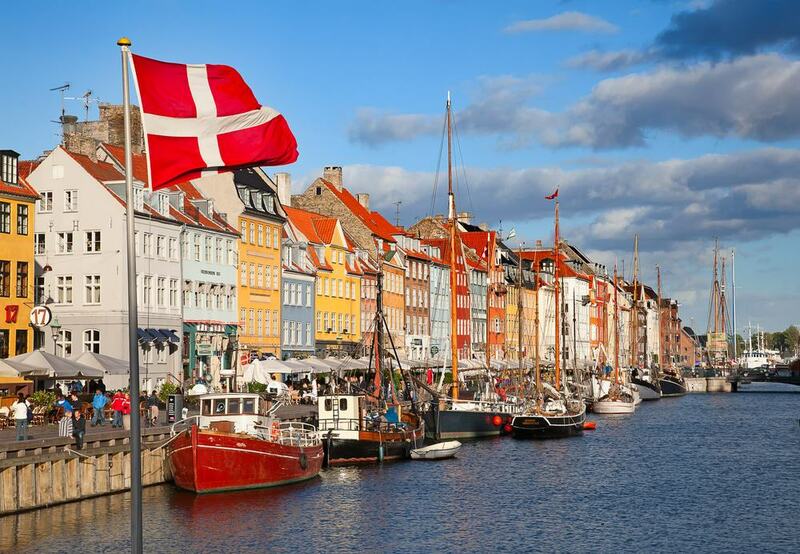 Denmark is on my travel list! I can’t wait to visit one day. In the meantime, this rice pudding looks delicious! What an elegant treat! 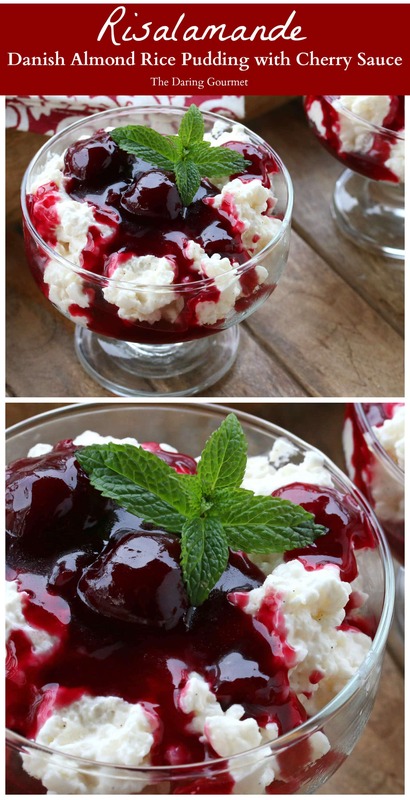 I love that sweet cherry sauce! Perfect during the holiday season, too! Oh my goodness!! What a gorgeous dessert!! Perfect for the holidays!! What a delicious looking dessert! Perfect for the Holidays! I love rice pudding but I have never had this version before. I am sure it would be fantastic. It’s so much fun to visit other cultures through their cuisine! 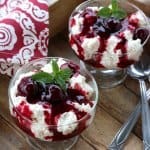 I would like to try this recipe, but not sure about how to make the cherry sauce. Is it just a matter of adding cherries, sugar, and water and in a saucepan? 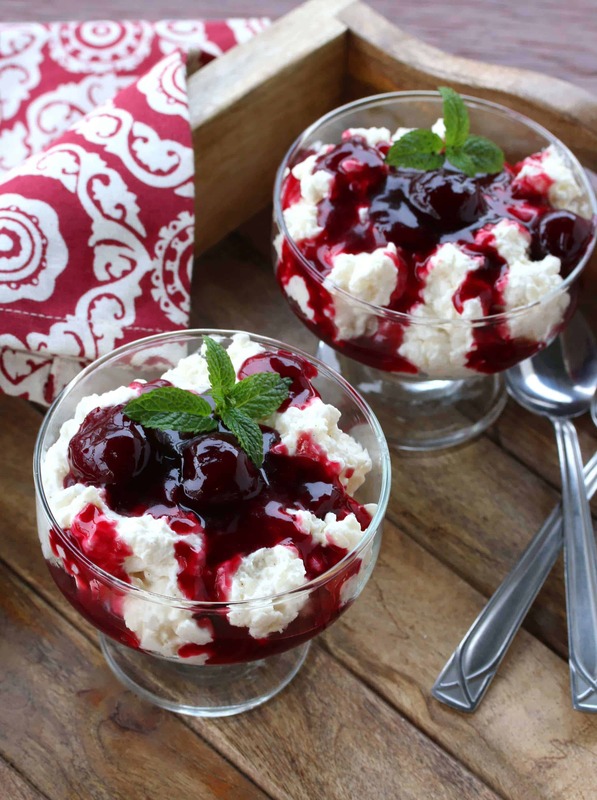 Hi Erika, there are recipe links to the cherry sauce in the post – one above the picture of the cherry sauce and also in the recipe box for the Risalamande. 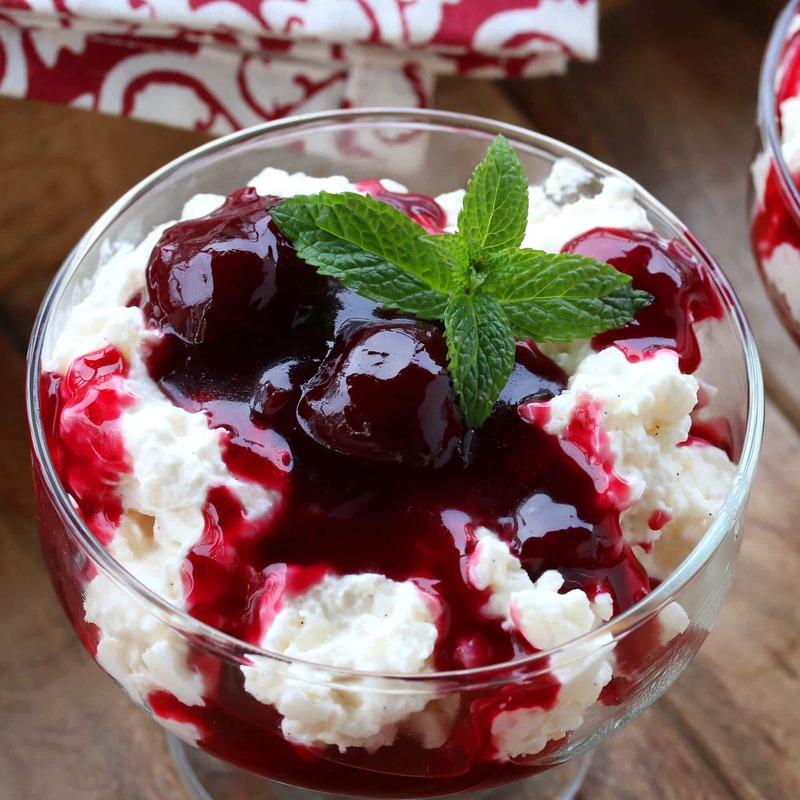 Just click on “cherry sauce” and it will take you to the recipe for it. Rice pudding, wow, I haven’t had that in forever! The cherry sauce looks great on top too! 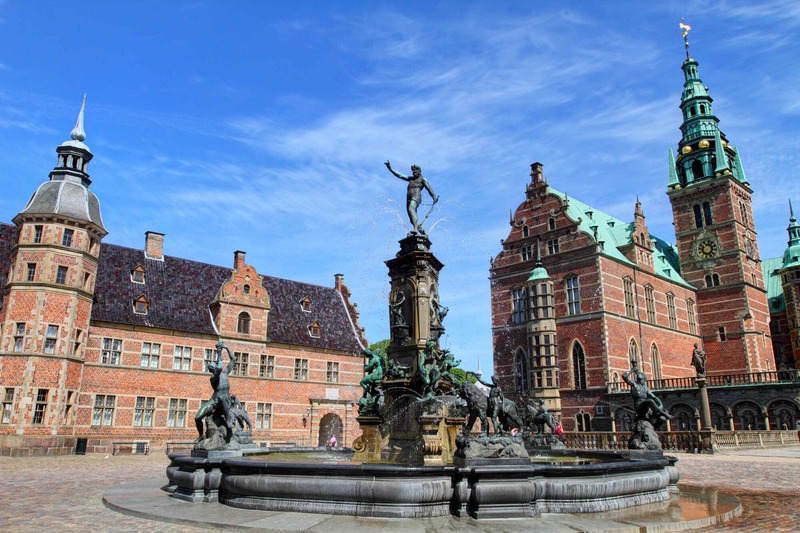 Love the photos of Denmark. Such an interesting take on rice pudding. Almonds – I’ll have to give it a whirl! Absolutely DELICIOUS! We’ll be making it again for Christmas to start a new tradition! My daughter can’t have sugar. Could I substitute maple syrup or honey for this recipe. If so, what amount. Thank you! Hi Rachel, the general recommendation for substituting honey is to use 1/2 to 3/4 cup of honey for every up of sugar. I’d probably start with 1/2 cup myself and you can always add more later. Pure maple syrup isn’t quite as sweet as honey so maybe aim closer to 3/4 cup for that. You may also want to cut slightly back on the liquids, maybe just by a couple or three tablespoons. Thank you so much for this recipe, it will bring back so many wonderful memories of my Mum. I was born in Denmark but I was raised in Australia. As a child I would watch my mum make this regularly but I never thought to ask her for the recipe, sadly my Mum passed away 8 years ago and my sister couldn’t remember the quantities for it, but with this it will make this Christmas that little bit more special. Again Thank you very much. 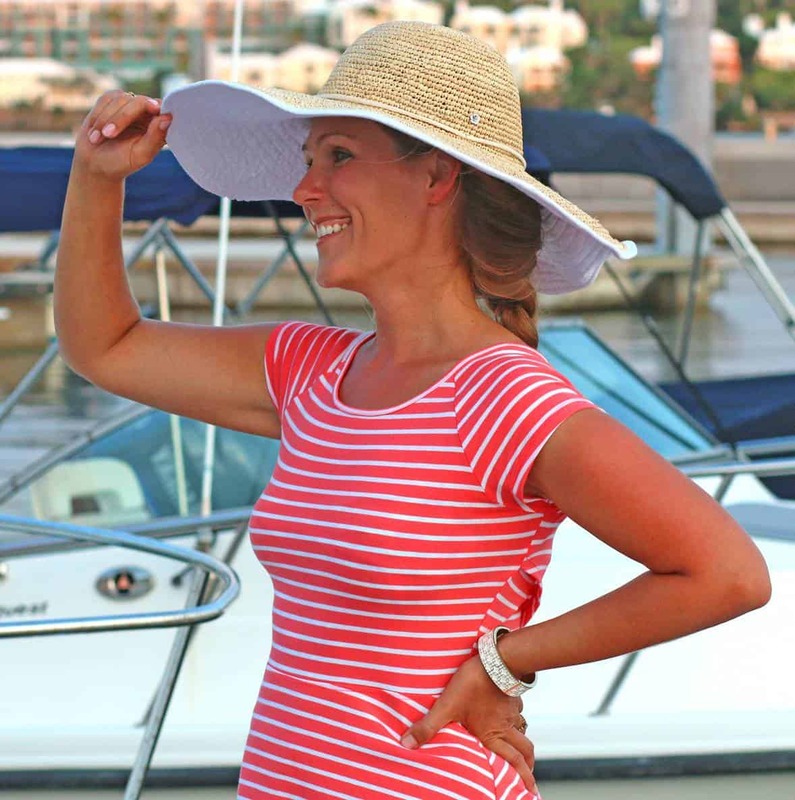 Hi Kimberly – Recipe sounds wonderful and photos are lovely! How finely do you chop the almonds for this recipe? Maybe add a pic of the chopped almonds? Thanks! Thank you, Wendy! That really just comes down to personal preference but I like to keep them very small, like smaller than the size of a shelled sunflower seed. Legit speechless, that Risalamande recipe looks unreal! Definitely, I will make it on the weekend for my family.